Versatile Farm/Ranch Option with combination of CRP,Improved 5-way mix grass, and cultivated acreage as well. Corners of tract which amount to 44.10 acres @ 52.00/ac $2293.20 annually in Conservation Reserve Program until 9-30-22. East Half of Pivot acres are planted to improved pasture and west half has been planted to wheat the past few years, but farm has a history of being a consistent producing cotton farm as well. Soil should be suited to non-irrigated or irrigated crops such as cotton. 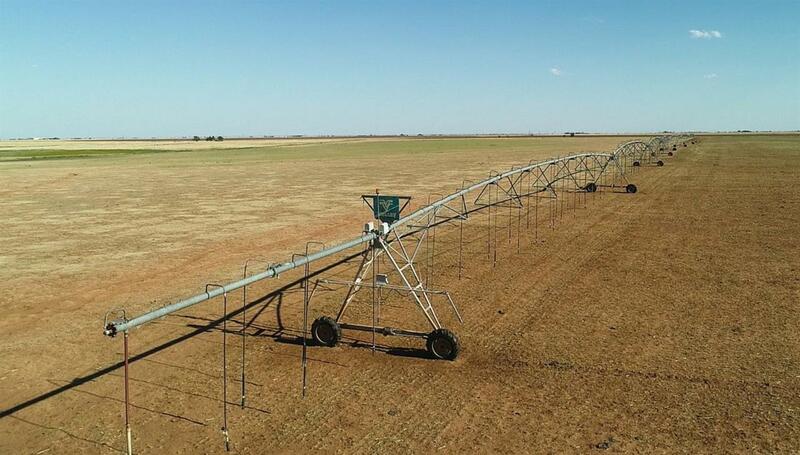 Farm has two irrigation wells and a older model Valley Irrigation Pivot system. Farm is very accessible with 1/2 mile of FM 37 Hwy frontage along with a good county road on the west boundary of the property.